For more than 5 years, Coyne has been dishing up public relations campaigns for Red Robin. From introducing a new Lenten offering by making an offer to the Pope, to launching a burger-inspired beer, our restaurant team always delivers. 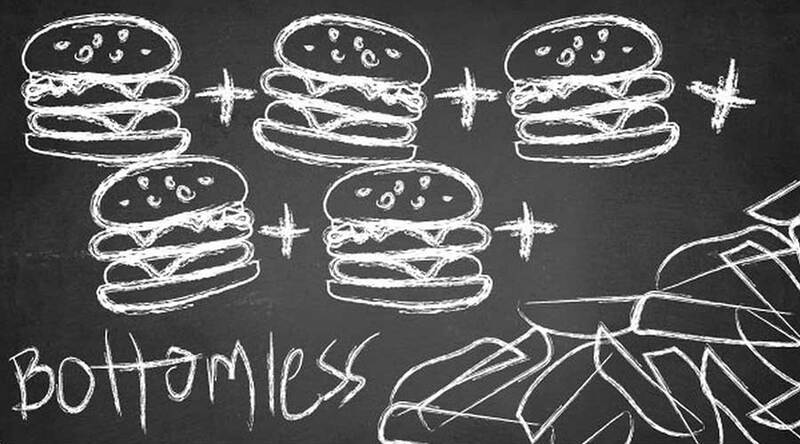 Math can get complicated, but when you do the #BurgerMath, it doesn’t take a whiz to see that Red Robin is at the top of its class! To celebrate the end of the school year, Red Robin Gourmet Burgers and Brews said “thank you” to teachers and school administrators everywhere for educating us on the fundamentals that its five Tavern Double Burgers with Bottomless Steak Fries for $6.99 each is a great deal. In honor of an unbeatable burger value, on Tuesday, June 5, all teachers and school administrators who visited participating Red Robin restaurants and presented their school ID were rewarded with a FREE Tavern Double Burger and Bottomless Steak Fries. 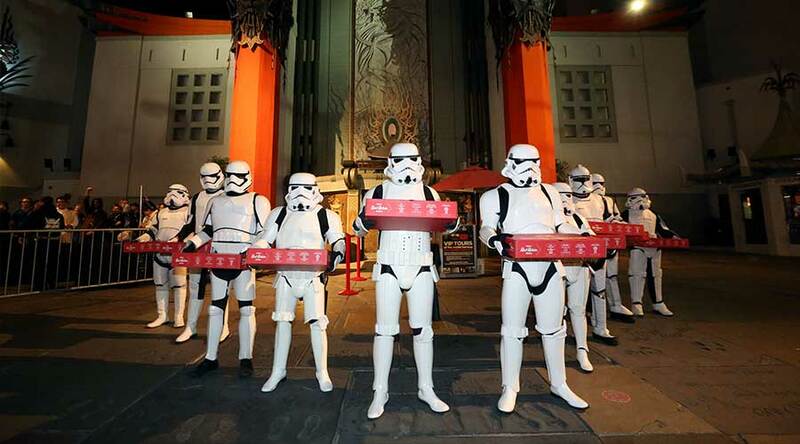 Stormtroopers invaded TCL Chinese Theaters to deliver Red Robin Gourmet Burger Bars to fans in line for the highly-anticipated movie premiere of Star Wars: The Last Jedi in Hollywood, Calif.
Red Robin challenged Coyne to make waves for the launch of its new Wild Pacific Crab Cake Burger, which launched at the beginning of Lent. Coyne made an offer to Pope Francis that if he dined at any Red Robin location during the Lenten season, everyone in America would receive a free Wild Pacific Crab Cake Burger every Friday up until Good Friday. Consumers were urged to join in by tweeted the Pope using #ropeinthepope. With menu items such as Warm Pretzel Bites, St. Louis Butter Cake and the Oktoberfest Milkshake, Coyne PR targeted the new Oktoberfest as a chance to remind families of the great offerings and renew conversations with the young adults. After challenging all Red Robin restaurants to raise consumer satisfaction and quality of service metrics to a targeted score, Red Robin CEO Denny Post confirmed that if the goal was reached by the company's leadership conference she would get a Billy the Burger Tattoo. Turns out she is a woman of her word and backing out of a challenge never crossed her mind.